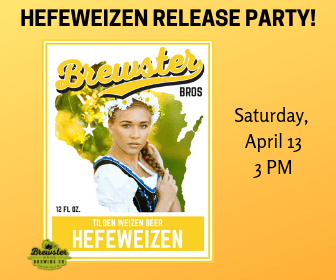 Try Tilden Weizen Hefeweizen, Brewster Bros. Brewing Co's award winning seasonal beer. Celebrate Gambrinus Day (the birth of beer) with Renaissance performers from Ren in the Glen. Come dressed in your Renaissance best and win prizes. Listen to the unique music of Bardbaggedon and enjoy true southern BBQ from Smokin' Joe's Food Truck.